Marc Buxton‘s weeklong predictions for All-New Marvel Now! continue, from Black Widow to Iron Patriot. Part 1, covering All-New Ghost Rider to Avengers World, can be found here. Marc’s Marvel Now! Report Cards can be found here, here and here. The Black Widow. Writer: Nathan Edmondson. Artist: Phil Noto. This one’s a test to see just how much the zeitgeist has changed. 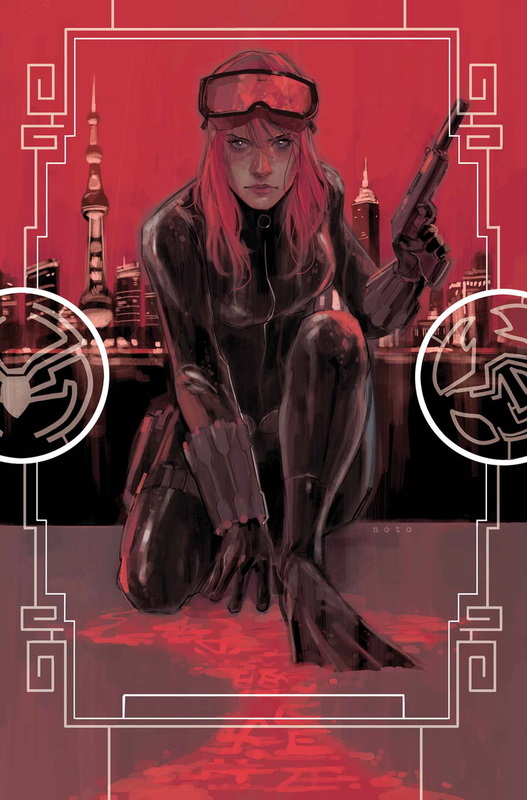 Black Widow, despite her exposure in other media, has never been able to carry her own feature despite attempts by writers like Greg Rucka, Marjorie Liu, and Paul Cornell. She is one of Marvel’s most recognizable characters and, thanks to Scarlet Johansson, one of their most popular. Yet, the world of publishing remains Widowless. Will the supposed online fans be different than the direct market? Phil Noto was made to draw this book, and Edmondson is one of the freshest voices in comics even though he may not be familiar to Marvel loyalists. Prognosis: It’s the right time for the right character with the right creative team, but Natasha has never been able to sustain her own book despite demands for fans for gender diversity. Will fans put their money where their mouth is at the pinnacle of the Black Widow’s popularity? Begins in January. Captain Marvel. Writer: Kelly Sue DeConnick. Artist: David Lopez. Speaking of gender diversity, there is not a more loyal following in comics than DeConnick’s peerless Captain Marvel followers. The writer made a splash on the direct market with the sellout of her Image book Pretty Deadly. If the same number of fans come out to support Carol Danvers, we have a winner on our hands. Captain Marvel will soon be joining the Guardians of the Galaxy, which should help the book as we approach the Guardians film, plus word of mouth and boiling enthusiasm for the book has spread around the convention circuit. Prognosis: The time is right for this book and Marvel has gone out of its way to make Danvers the First Lady of Marvel. If and when Marvel Studios announces Carol’s movie destiny, look for this book to hit the stratosphere. Begins in March. Daredevil. Writer: Mark Waid. Artist: Chris Samnee. Everything old is new again as the team that’s ending their run relaunches Daredevil with a new #1. Waid and Samnee can do no wrong on this book as every panel breaks new ground for Matt Murdock. Comics just don’t come better than this. If Waid and Samnee think moving Matt out of Hell’s Kitchen and into San Francisco is the right move, than fans should trust them. They’ve done no wrong so far. Prognosis: One of the best books on the market, and why should that change? As the Netflix series fast approaches, the book couldn’t be in better hands. Begins in March. Elektra. Writer: Zeb Wells. Artist: Mike Del Mundo. Brian Michael Bendis failed to make this series a success, so did Greg Rucka and countless other talented creators. 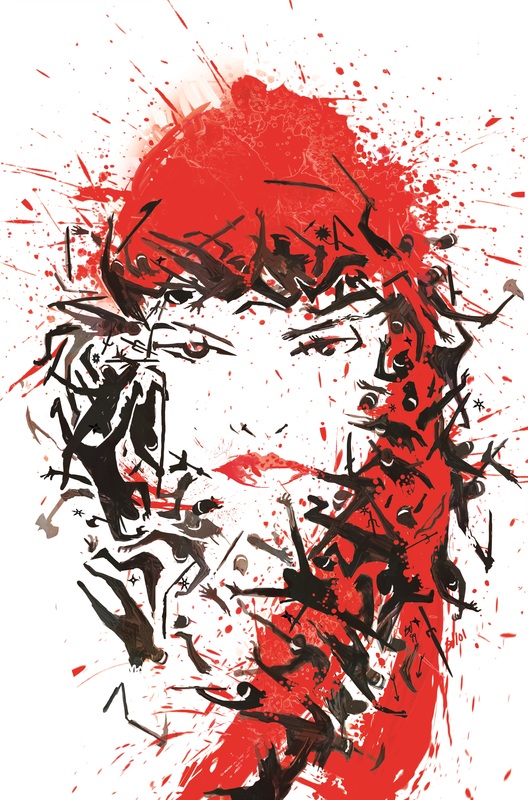 Elektra’s creator, Frank Miller, always maintained that Elektra was a character who always was meant to die. Marvel has failed to find a compelling narrative that justified Elektra being alive, but maybe Zeb Wells is the right voice to do just that. Wells is as adept at comedy as he is at drama and he should bring a unique sensibility to the project. Prognosis: Not good unless Wells finds a dynamic and unexpected direction for the character. Elektra may attract new readers if she is a part of the Daredevil Netflix series, so there’s that little light for fans betting on this book’s survival. Begins in March. Fantastic Four. Writer: James Robinson. Artist: Leonard Kirk. The perfect creative team to be in place as the hype machine revs up for the 2015 release date of Fox’s Fantastic Four reboot. As proven in his Starman book for DC, Robinson is more than adept at portraying interfamily drama and Leonard Kirk is one of the finest draftsmen in the industry today. This is another case of Marvel finding the right horse for the right course as these two creators are the FF dream team. Prognosis: It’s a shame Matt Fraction’s Fantastic Four died prematurely, but if it allows Robinson to write the book he seemed born to write, it may be a blessing in disguise. This book will be in a good place when the film arrives. Begins in February. Inhuman. Writer: Matt Fraction. Artist: Joe Madureira Betting on the longevity of an Inhumans title is never a safe move, but as the end product of a major crossover and a lead-in to another, the health of this title seems predetermined. Fraction’s portrayal of Medusa in FF is a great precursor for things to come. No artist in comics is better at world-building than Madureira. The only question is, will the book be timely? Judging by the fact that Marvel pushed the first issue to April is of great concern to the book’s success. Prognosis: Healthy if it ever actually, y’know, exists. Begins in April. Iron Patriot. Writer: Ales Kot. Artist: Garry Brown. James Rhodes is another one of those characters that Marvel has tried to make work for years. Like Black Widow, despite exposure in multi-billion dollar film projects, Rhodes, as War Machine, has barely survived a year on the comic racks. 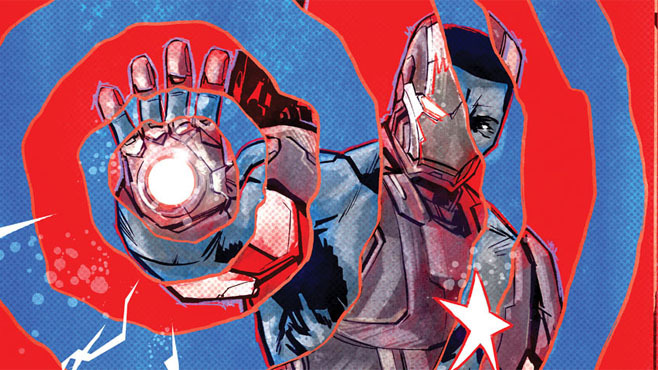 Will the new digital market by kinder to Rhodey’s Iron Patriot? Ales Kot certainly has the writing chops to make the book sing. His work at Image, Marvel, and his criminally brief run on DC’s Suicide Squad speak to Kot being one of the bravest new voices in comics. Prognosis: Comic fans just never supported Rhodey as a lead. Even with a name change, this will be a rough sell, but Marvel may just have found the writer to pull it off. Begins in March. 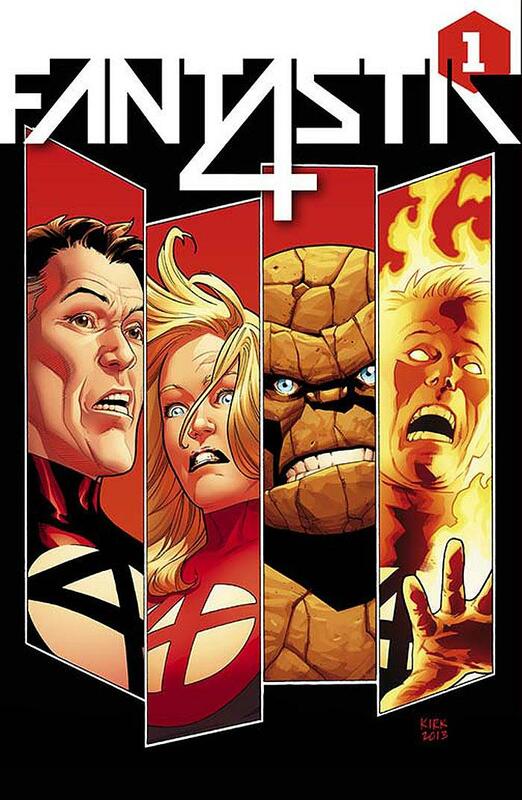 I’m cautiously optimistic about Robinson’s Fantastic Four. Starman was awesome, because it was a dark corner of the DC Universe where nothing was happening and he created something there. Fantastic Four could well be another New Krypton storyline; Justice League of America or Earth-2. I’m wondering what new take Robinson will bring. I’m avoiding as much “hype” as possible. Like airdave, I’m looking forward to Robinson’s Fantastic Four most from this list. I have what might be a controversial thought about Captain Marvel and Black Widow, also relevant to forthcoming She-Hulk and Ms. Marvel titles…Marvel Comics has certainly made their intentions known to diversify their roster, pretty much ever since the Women in Marvel panel at NYCC. And diversification is a good thing for sure. But do you think that Marvel has kind of drawn a line in the sand by putting out so many women-centric titles almost at once, practically daring people to support them to the tune of twelve-plus dollars a month? Don’t get me wrong, I don’t think Marvel is being antagonistic about it, but if one or more of these books doesn’t do well, that doesn’t necessarily indicate that fans don’t want diversification, there could be quality or simple financial reasons. It’s a weird thought and I know I could be misconstrued–perhaps my thinking is wrong in itself. It just seems with so many new titles being launched almost simultaneously, some stuff is going to get lost in the shuffle.